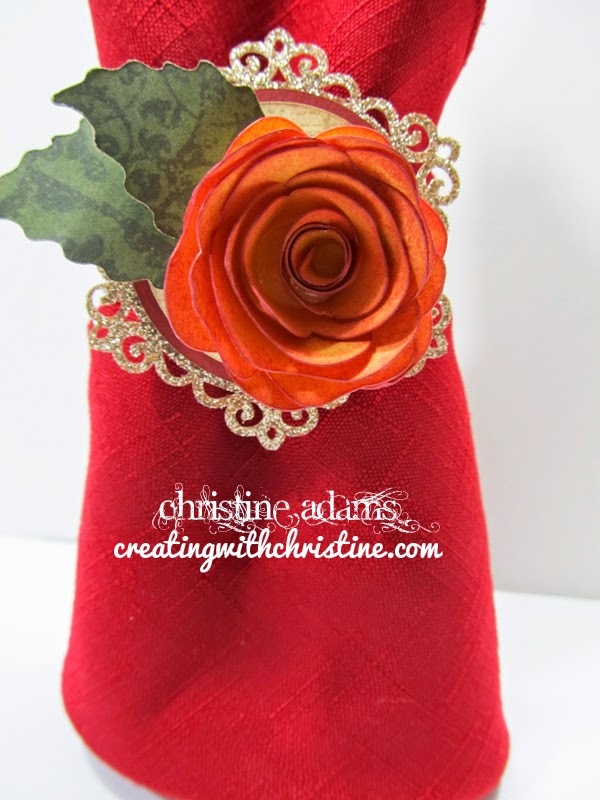 It is so easy to dress up a place setting by using colored napkins and napkin rings! 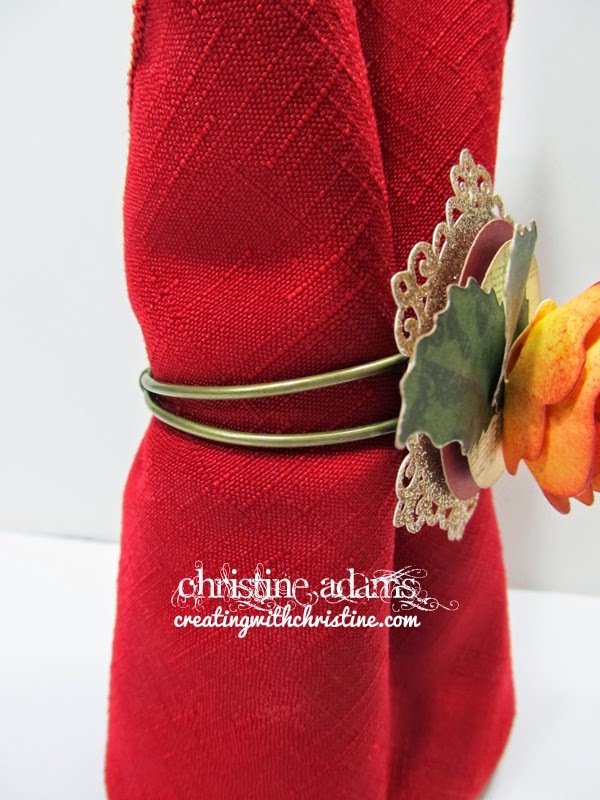 And I love that I can coordinate the napkin ring to match the other elements on the table! The rose is the same as the one used on the Take Out Box and the Gold Glitter base is the same design used on the tag on the same box. 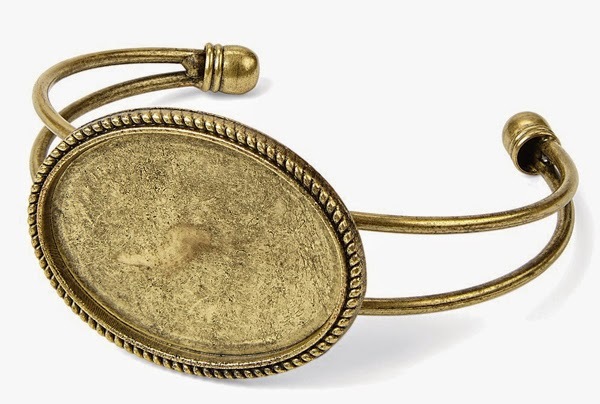 ...it's our Base and Bling Oval Cuff in a Faux Antiqued Gold finish. I love using our products in a unique way - outside of the intended purpose. It's kind of like buying an outfit that you can wear different ways - it's double duty, and cost effective! 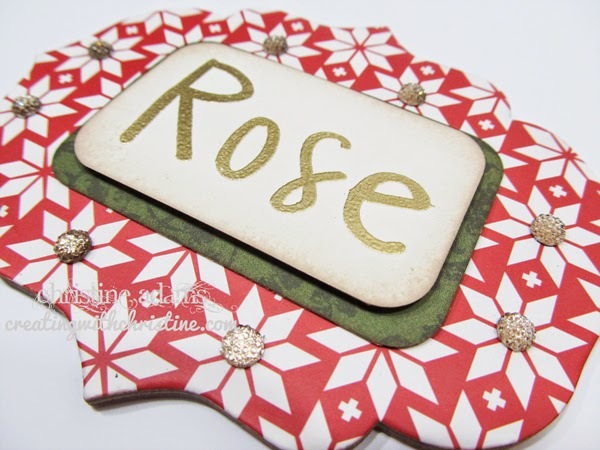 I also added a name plate using our new Designer Creations Frame. 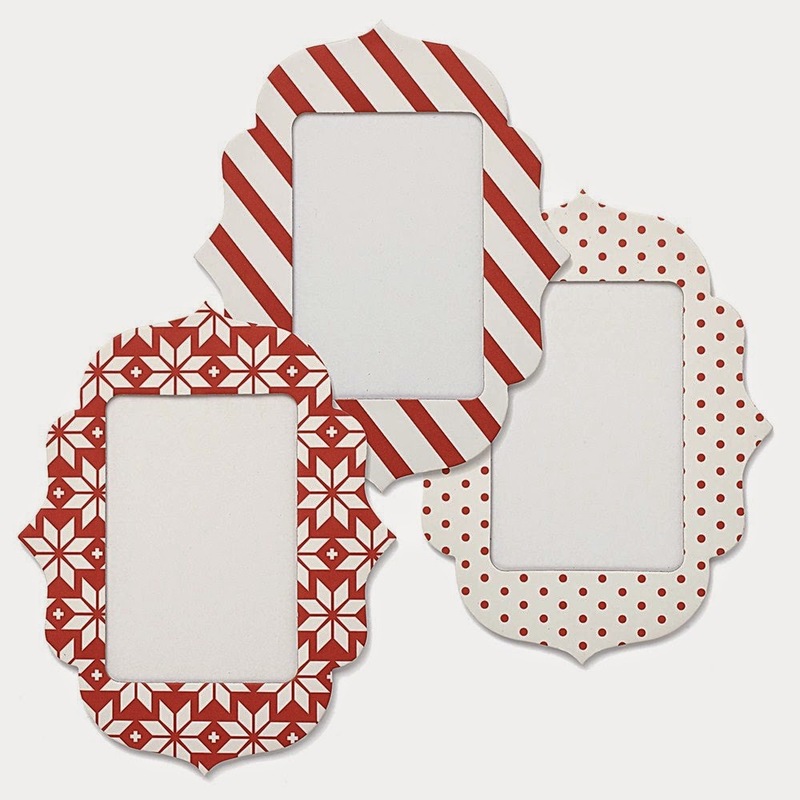 These frames come in a pack of 3 with 3 different designs. Even though I added my name to the front of the frame, you can easily slide in a photo, name, or other artwork through the slit on the side. One more post coming tomorrow to finish my place setting!